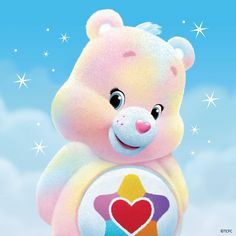 True hart-, hart beer. . Wallpaper and background images in the Care Bears club tagged: care bears cute true heart bear. Babies Zeo Ruff Victora & oranje Kitty forever young2.